Thiruvananthapuram: Kerala has sought a fresh review of the Probable Maximum Flood in the Mullaperiyar catchment by a panel of international and national experts in the field of hydrology in its memorandum to the Prime Minister. This is crucial because safety of Mullaperiyar Dam depends on Probable Maximum Flood, and any arguments over water level in the Dam cannot be carried forward without establishing PMF. Kerala has argued that in the context extreme rainfall events in Chennai and elsewhere, it is imperative that the hydrological safety of the Mullaperiyar Dam is revisited. It pointed out that differing conclusions had been reached by the Empowered Committee of the Supreme Court, the central Water Commission and the IIT Delhi. The State has also invoked the precautionary principle which warrants risk prevention by taking proactive measures. This is not the first time it invoked the principle. It had done so before the Supreme Court in the case filed by Tamil Nadu against its dam safety law. However, the Court rejected it noting that precautionary principle does not arise because the dam is found to be safe by the Empowered Committee. So, it is imperative that Kerala shows that dangerous floods that could lead to catastrophic failure Mullaperiyar Dam can occur in the Mullaperiyar catchment. However, its past assessments were not steady. Initially, the State used to quote the PMF of Mullapperiyar basin as 6003 cumecs. However, an actual flood level of 8453 cumecs was recorded in 1943 and this had been admitted by experts of Tamil Nadu also. When Kerala produced a study report by Prof. A. K. Gosain of Indian Institute of Technology, Delhi, on Probable Maximum Flood Estimation and Flood Routing before the Supreme Court, the PMF cited was of 2.91 cusecs (8248 cumecs). 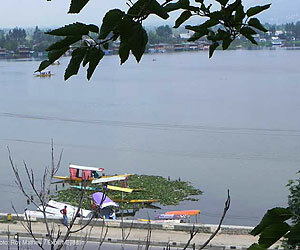 Later, this was revised to 3.06 lakh cusecs (8665 cumecs). Kerala government explained this in its submission to the Court that Dr. Gosain’s initial calculations were based on a draft report. The Professor was not aware of the final report until Tamil Nadu showed it to him during cross examination. Kerala also submitted that Dr. Gosain did not say anything contradictory during cross examination by Tamil Nadu. In 1943, Mullaperiyar water level had reached 154.80 feet when the maximum water level for the dam was 155 feet. The Empowered Committee assumed that the spillway has a capacity to discharge 1.84 lakh cusecs (5210 cumecs) and calculated a maximum water level that could be reached in case of PMF as 153.47 feet. This was when Tamil Nadu had accepted that the discharge capacity of 13 vents of the spillway was only 1.22 lakh cusecs (3455 cumecs). According to Gosain, water level could go above 160 feet with all vents discharging, thus making the dam unsafe. The Empowered Committee concluded that determination of observed maximum flood in 1943 was not reliable and the PMF could only be 6003 cumecs. The Court accepted that and the finding that the Dam was structurally safe. Any studies Kerala would conduct on the subject now will be unacceptable though it could have initiated international studies when the matter has been before the Court (since the nineties). The issue of PMF can only be reassessed by the Centre and all that Kerala could do is to press the Centre for that. Precautionary principle warrants risk prevention by taking proactive measures against specific environmental / safety risks. When the scientific evidence of safety is insufficient, inconclusive or uncertain, we should not hesitate to evoke this precautionary principle. 1984 Bermen Ministerial Declaration of the International Conference on the Protection of the North Sea rightly declares “States…must not wait for proof of harmful effects before taking action”. Srinagar and now at Chennai are devastating. These unfortunate events are to be viewed seriously and the possibility of occurrence in other places cannot be ruled out.